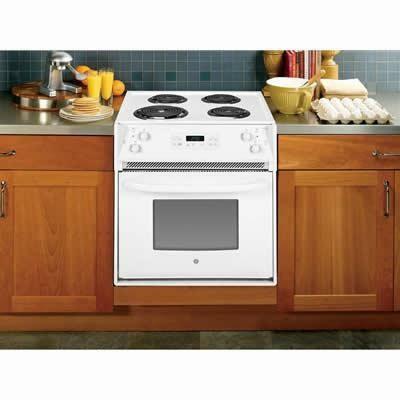 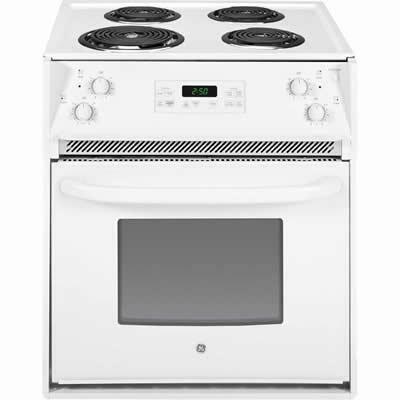 The GE® drop-in electric range will be a great addition to your kitchen. 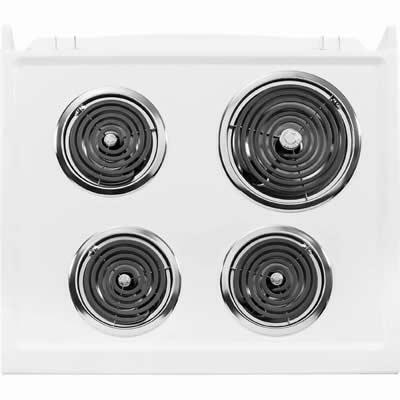 On the cooktop, coil elements provide even heating, and chrome drip bowls remove easily for quick cleaning. 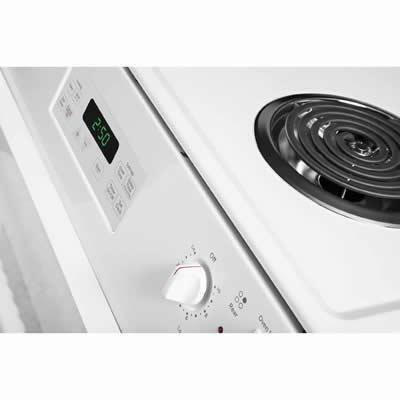 An electronic clock and timer keeps you on schedule. 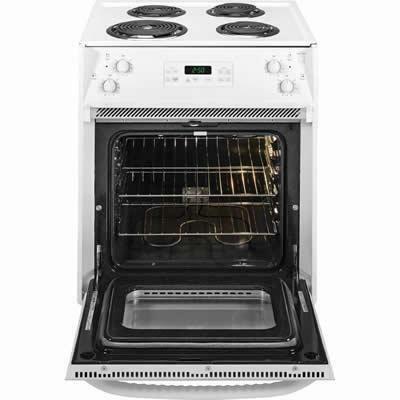 Inside this 27 in. 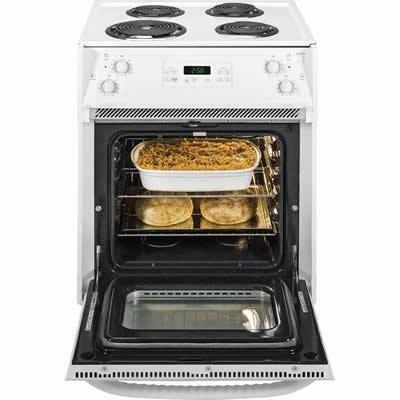 drop-in electric range is a self-cleaning oven that saves your valuable time by eliminating the hassle of scrubbing.